Will Café Opus oozells the same style as its bigger sister? A hideaway from the bustle of Brindley Place and Broad Street, Oozells Square already boasts restaurants Piccolinos, Cielo, and Thai Edge. However the award for most beautiful building on the square has to go to the neo-gothic Oozells Street School building which houses renowned contemporary art venue The Ikon Gallery. 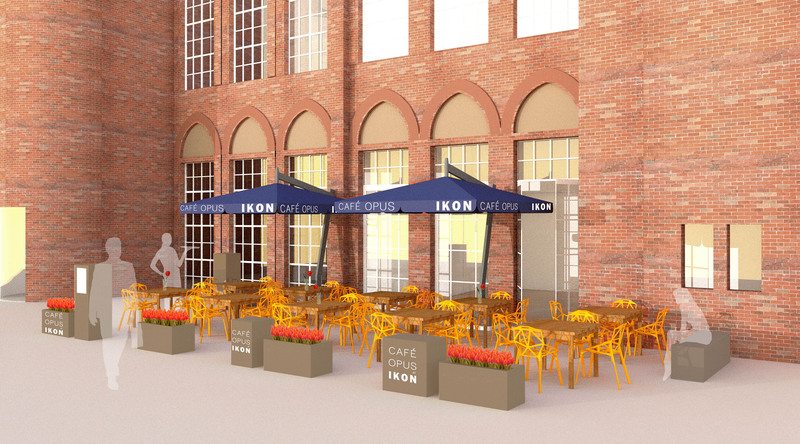 The gallery occupies the prime position on the sunny side of the square, and on the 26th February its café and terrace will become the little sister venue to Opus Restaurant in the Colmore Business District. There’s been a real push on the café scene in Birmingham over the last twelve months and Opus director Ann Tonks said: “Cafés and coffee shops are a growing part of the sector during this recession, so we are expanding into an area which is particularly strong. The concept for this ‘little sister’ venue is that it will have the same focus on quality British produce and good value as we do at Opus, but in a less formal setting”. It won’t be somewhere just to pop in to for a coffee-to-go as Ann goes on: “The concept will offer relaxed all-day dining, which means it’s as suited to young mums bringing their kids for lunch as it is to workers looking to share a bottle of wine to unwind after a hard day in the office on our new revamped terrace. “At the weekend, it will offer the chance to have a lazy brunch with the papers with lashings of fresh coffee or perhaps even a Virgin Mary or two”. So that the terrace can be enjoyed in as much of the year as possible they’ll have umbrellas (the largest in Birmingham, they boast), heaters, and if you’re still chilly you can borrow thermal blankets. Café Opus at Ikon promises unfussy British classics such as boiled egg and soldiers (£2.50) or creamy forest mushrooms and tarragon on toast (£3.50), served at any time of day or evening. More substantial meals will include slow-cooked ox cheeks with creamy polenta (£7.50) or a salad of black beluga lentils with Rosary goats cheese, pine nuts and lemon oil (£5.50). The Opus directors Ann Tonks, Irene Allan and David Colcombe, originally founded Bank in Brindley Place but left in 2005 to set up Opus. We’ve heard from a source close to the new venture that if it’s a success it may not be the only Café Opus to open this year – so the team obviously still have high ambitions! The Ikon Gallery features artists from around the world with a regular programme of exhibitions and events – definitely opportunities for tying in a cultural trip here with a spot of brunch! 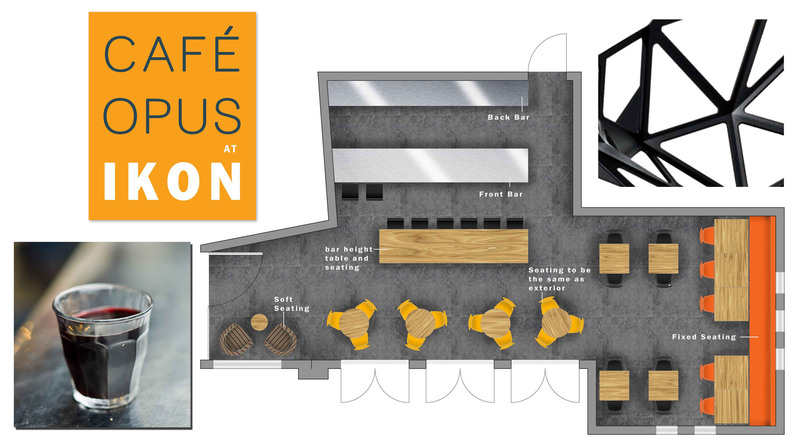 A refurbishment is currently underway in the café, with the design created by Suzanne Barnes Design Partnership, who also created Opus Restaurant’s distinctive look. I’m looking forward to the Sunday morning eggs and soldiers already! 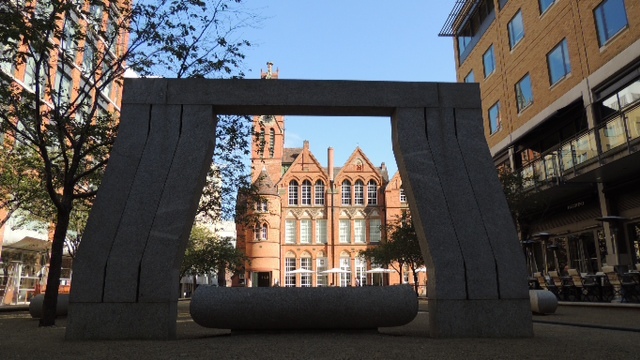 This entry was posted in Area: Brindley Place, Area: Broad Street, Cuisine: Modern Mixed, Price: Average, Venue type: Cafe and tagged Birmingham Cafe, Ikon Gallery Birmingham, Oozells Square Birmingham, Opus Restaurant Birmingham. Bookmark the permalink.